Used Washers for Sale in Houston with Champion Appliances! When it comes to selling used and refurbished washing machines in the greater Houston area, we have several options to choose from at Champion Appliances. With an assortment of washing machines in a variety of brands, ages, colors, and sizes. Feel free to come to our showroom in the West side of Houston and take a look at our appliances with name brands such as Whirlpool, Kenmore, Maytag, GE, Frigidaire, LG, Samsung and other major brands. Our basic washers/dryers usually go in hidden places such as garages. Although these appliances have obvious exterior blemishes, they have passed our Quality Checklist. Our standard washers/dryers are our most popular sets showing few signs of wear, scratches, and dings. Matching sets available. Comes with standard 90 day warranty. 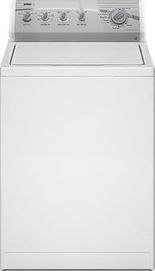 Deluxe washers/dryers might have digital controls and are usually fairly new. These appliances look almost new and can be front load or traditional top load. The washing machine is one of the longest-lasting appliances in your home. 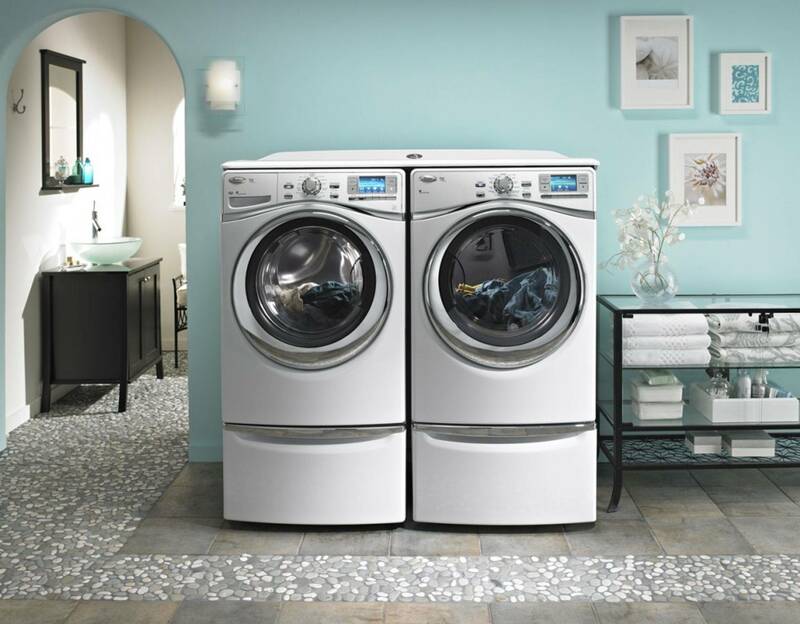 If you can find a machine that fits your lifestyle, brighter laundry days are ahead. Measure your space, weigh your options. Width: Keep in mind that washers and dryers need one inch of space on either side for air circulation. Depth: Add six inches of space for door clearance, dryer vents and hookups. Height: Top loaders need an added 20 inches of above-machine clearance for the door. If space is at a premium, consider going vertical. There are many viable compact laundry centers. And don’t forget that some front-loading washers and dryers may be stacked for space savings. This term refers to the inside wash tub and is measured in cubic feet. A large capacity washer lessens laundry loads, which is perfect for growing families and those who wash bulky items at home. For reference, a 4.5 cu. ft. washer fits 25-50 bath towels. As a rule, it’s usually best to choose the largest capacity your space will allow. Are you guilty of washing a load and letting it sit? You might want to look for Wash Now, Dry Later capabilities. Do you wear fabrics that require lots of TLC? Insist on a Delicate cycle to avoid hand washing. Today’s washing machine features take the hassle out of special cleaning challenges. Additional features to consider: add a garment, quick wash, delayed wash, sanitation, steam cleaning and advanced cleaning technology that automatically releases oxygen based cleansers to brighten without bleach. A quiet machine is essential if it’s to be placed near a living area or bedroom. Check the machine’s specifications for vibration reduction and look for added insulation and improved suspension for quiet operation. Most washers on the market are already Energy Star® qualified, but it pays to check the washer’s performance according to the Consortium for Energy Efficiency or the CEE. The CEE denotes tiers based on a machine’s Modified Energy Factor and Water factors. The more efficient the unit and the less water it uses, the higher its tier. High Efficiency or HE washers are Energy Star® qualified and have higher spin speeds to remove more water from laundry, reducing dry time. You may pay a little more up front for washers with outstanding ratings, but you’ll offset that cost over the life of your washer by conserving energy and water. For example, some washers save up to 7,000 gallons of water each year. That’s enough for 3,000 showers. A worthy trade, no? Finally, consider a matching set. It’s not only aesthetically pleasing, your washer and dryer are actually engineered to work together. Factors like spin speed mean reduced drying time and your matching dryer will feature special cycles and sensors to accommodate the function, ensuring clothes are never over-dried, making them last longer for additional monetary savings. Lowes. "Washing Machine Buying Guide." Lowes.com. Lowes, 12/9/2014. Web. 12/9/2014. <URL>. Fill with water - we make sure that our used washers fill with both hot and cold water and fill to the appropriate level. The inlet valves for washers are a major cause of leaking water and could cause damage to your floor. With a Champion Appliances used washing machine, you can rest assured that the water fill valves have been tested and show no signs of leaks. Agitate - after the water fills up, we make sure that the used washer is agitating as it should. If your used washer is not agitating correctly, your clothes will not get cleaned and you could potentially have problems with leaking water later on. You can be confident that the agitator in the Champion Appliances washing machine you purchased has been tested and is working properly. Spin/Drain - Once the washer has agitated the clothes, it needs to spin and drain all the water out so that the clothes can go into your used dryer. When your used washer spins, it needs to spin fast enough to get most of the water out and the drain pump has to be leak free. In addition to avoiding leaks, having a good, unclogged pump, will ensure all the dirty water gets out of the washer. During the spin cycle, if you open the lid the washing machine should shut off. This is a security devise to ensure that nobody gets hurt when the used washer is in the fast spin cycle. When in spin mode, the washing machine will shake some, but not so much that it makes a lot of noise or "walks across the floor". With a Champion Appliances used washing machine, you can rest assured that we test the spin cycle and pump to ensure that there are no leaks and that the clothes are dry enough to go into an electric or gas used dryer. © 2019 Houston Champion Appliance. All Rights Reserved.